An underwater search device has located the black box and part of the wreckage of a medevac plane that crashed in January in Southeast Alaska. 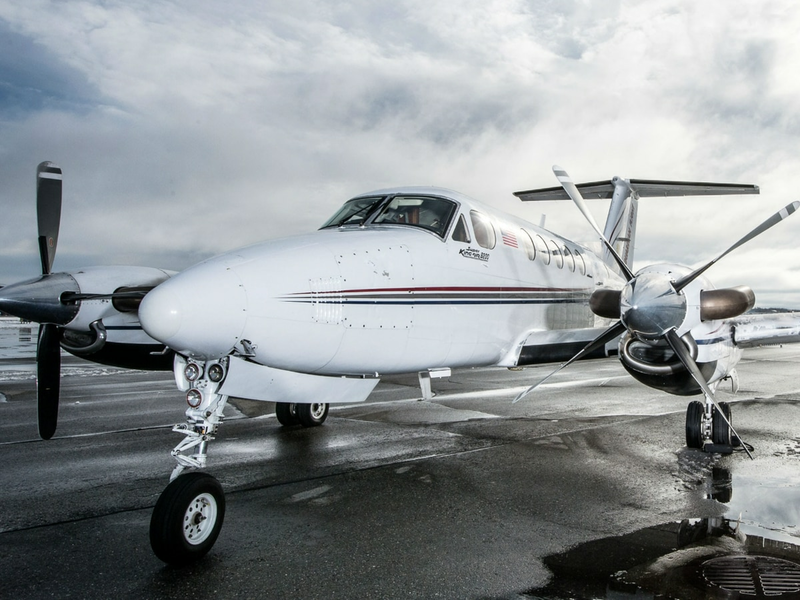 A remotely operated vehicle commissioned by air ambulance operator Guardian Flight found and recovered the cockpit voice recorder from the Beechcraft King Air 200 turboprop, the company announced early Tuesday. The vehicle also identified part of the landing gear and an engine. The discoveries came toward the end of the day Monday, authorities said. By Tuesday afternoon, an onsite recovery team had found 85 to 90 percent of the wreckage “dispersed over a large debris field,” the company said, including the fragmented fuselage and tail assembly, the second engine and landing gear, and propeller blades and wing pieces. The Guardian flight took off from Anchorage in late January for a flight of about 600 miles to the village of Kake but never arrived. The discovery this week marked a major step forward in the hoped-for recovery of the plane and remains of three crew members thought to be inside: pilot Patrick Coyle, 63; flight nurse Stacie Rae Morse, 30; and flight paramedic Margaret Langston, 43. The Coast Guard looked for signs of the plane and its crew for several days. Searchers found part of a wing thought to belong to the aircraft in January but no other sign. Guardian, in cooperation with the National Transportation Safety Board, has continued searching since then. “While this is a positive development in our search, the confirmation of our tragedy is a heartbreaking time for the Guardian Flight family and the families of our friends,” company senior vice president Randy Lyman said in a statement asking for privacy. An NTSB investigator was on a boat at the scene of the wreckage as of Tuesday morning, according to Clint Johnson, the agency’s Alaska chief. Investigators are sending the black box to the agency’s Washington, D.C., lab for analysis, Johnson said. The device could have recorded cockpit alarms, engine sounds or conversation between the crew, though it’s not guaranteed the recorder will yield information at this point, Johnson said. It could be two or three days before any information is available. Crews will use Tuesday’s underwater surveying to map the area of the wreckage before planning the recovery of the aircraft, Johnson said. Guardian is continuing to search for the remains of the crew and plans to recover “major fragments” of the aircraft that could help NTSB in its investigation, the company said.